As the summer approaches, sports teams across the world are fine-tuning their approach to working together to make the most of their combined talents. Facing world-class competition means teamworking will be vital in achieving the goal to be the best in the world. As the world economy continues to struggle, the challenge faced by elite athletes is shared by teams in organisations. Leaders, teams and individuals all face increasing pressure to achieve higher and higher levels of performance, often with fewer resources. So how can you embrace a spirit of excellence in your business? 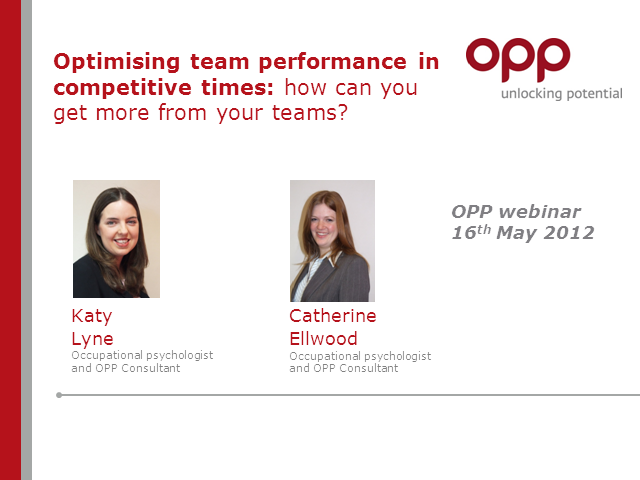 Sign up now to see how psychology can play a vital role in team success.